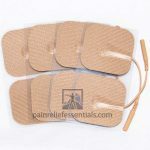 This set of 4 premium body pads (electrodes) can be used with the Advanced Foot Energizer from Northwest Essentials. 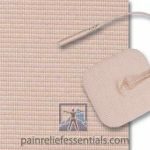 These pads are specifically manufactured for use with your Advanced Foot Energizer and have a very comfortable massaging sensation. While you are using your Advanced Foot Energizer you may simultaneously use the Advanced Foot Energizer Body Pads to apply electrical muscle stimulation (EMS, TENS) to the nerves of your upper legs or knees, lower or upper back, your arms, shoulders, or thighs. 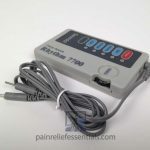 The controls for the body pads are right next to the controls for the sole of your feet and are just as simple to use. 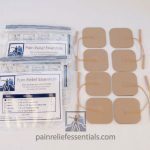 The Advanced Foot Energizer Body Pads are reusable for up to 20 to 30 uses. They are constructed of a durable backing with a thick gel layer for maximum comfort and very even electrical distribution. Never stick two adhesive pads together as it will ruin them.